Hall monitors play a special role on school campuses. Of course, they can be helpful in showing you around when you’re new but they are also making sure students are safe. Every hall monitor at John F. Kennedy H.S. can be like a friend. They’re often nice, funny, and in some cases, they motivate students on campus. When you’re feeling down, they can be the cure. Campus monitor Jose has worked at Kennedy for more than five years, so he also knows a thing or two about the place. As for advice to new hall monitors, Mr. Jose has this. Coach Lewis, another Kennedy alumni, joined the security staff in 2017. 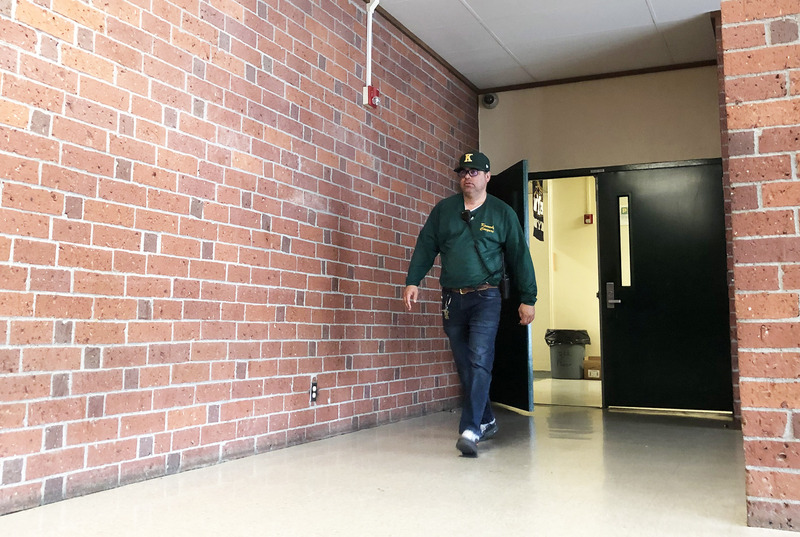 He started out as a coach but has been a hall monitor for a while, so he has a thing or two to share about being a hall monitor at Kennedy. Hall monitors help out the school and the students. At first glance, you don’t really see what they have to offer but just know they’re just doing their job and making sure the campus and its’ students are safe.